Whereas children’s television watching used to be the topic of heated debates among parents and educators, today it’s smartphones, computers, and game consoles. At what age should children use digital services – and how long each day? There are no clear answers, but these guidelines to regulate the use of the Internet at home are helpful. 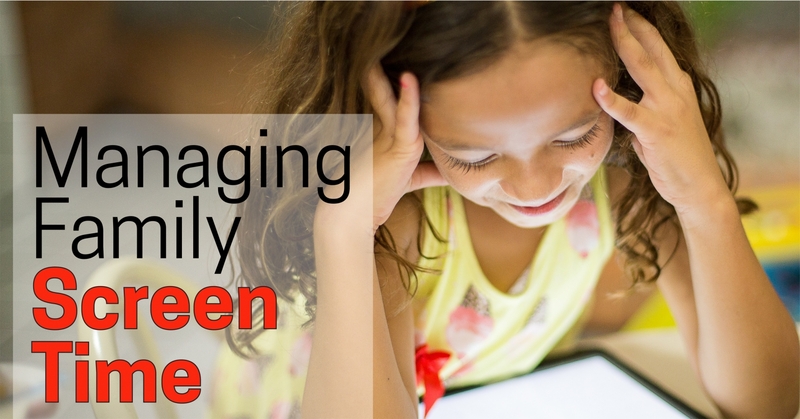 How can parents keep screen time under control? And since it's often an ongoing struggle, how can parents stick to these limits? Just like any other parental set of rules, the whole family would benefit if they all agree on these limits. It's not going to help if one parent isn't supporting the other. This is especially true for split families. Don't allow one location to be an Internet free for all where the other home is on lock down. Share with kids the benefits of screen time limits and don’t give in when the kids start throwing a tantrum, whining or calling you the worst parent ever. These outbursts will pass. You know the drill – be strong no matter how painful it might be because it's for the best for your kids. Consider cutting back on your own screen time, as well. Many of us are becoming addicts to the device. Lead by example and you'll probably also be better off in the long run. It seems like there are two parts to setting screen time limits — setting the time limits and controlling that time to make it safe/high-quality. Would you agree? It is a good idea to allow times when the family is "browsing" together so parents can keep an eye on what kids are viewing. It's also great to offer alternatives to screen time. Family time, reading time, going outside time, etc. Don't just say no, but offer creative alternatives. Additionally, if you want to set times that you think would make is safer, you could start by allowing no screen time after bedtime or not allowing kids to be online in their bedrooms. So not only setting time limits, but also when and where screens may be used. We haven't seen times set for adults, but children mimic behavior. Leaving devices alone while at the family dinner table may be a great place to start. It’s hard for working parents to always set an example since they maybe bring work home, but it might be better to keep work in the office and pleasure in the family room. Don't be reading your emails while eating with your kids. What do you see as the biggest risks of screen time/internet usage for families/children? Why is it important for families to set time limits and controls, and what do parents need to consider? One of the biggest problems for families is when parents try to set time limits without explaining and discussing with their kids. Don’t just cut off their screen time without a plan and a family discussion – especially with teens as they tend to rebel against these limits. However, kids should understand use of the Internet is a privilege, not a right. Christian Bennefeld is co-founder and CEO of eBlocker, a smart device that protects your privacy. It blocks all ads, stops all trackers, hides your IP and lets you surf anonymously on all your devices.